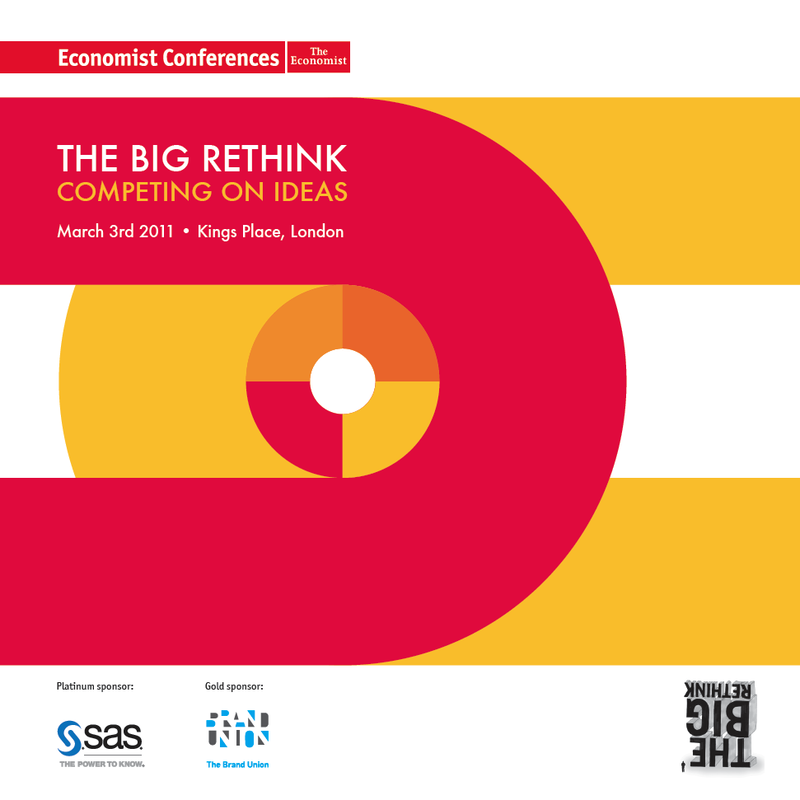 During my stint as senior designer for thought leadership and events at The Economist Events, I worked on over 150 events - from small bespoke dinners for 15 people, to two-day immersive and interactive hybrid events for 300+ delegates. I oversaw all areas of the design, from the creative and branding, to the set design, right through to the post-event summary paper. Below are four case studies from some of my favourite events. 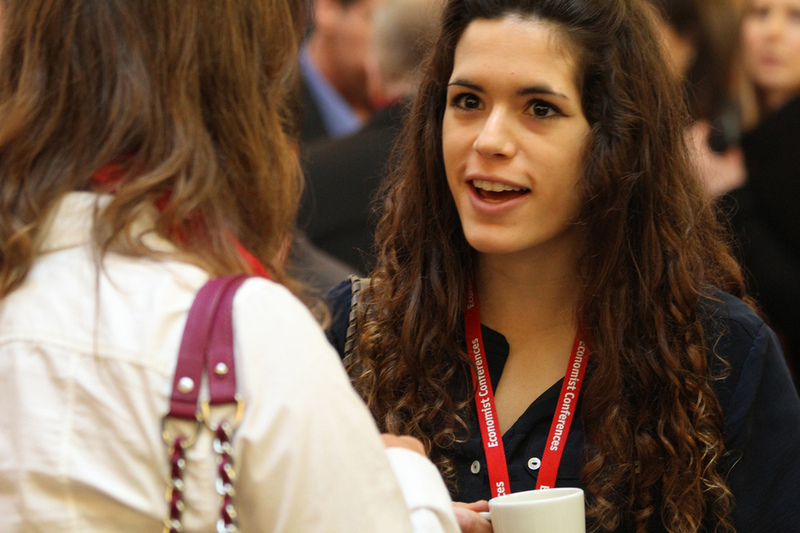 The first Technology Frontiers event was held in 2012 in London. The aim of the event was to look beyond new technologies themselves and to examine them in a broader context, considering their effects on the way we live and work and on society as a whole. The first event sold out, and it is now held across several locations worldwide, examining how technology affects local communities, and how it helps them make their mark in the world. 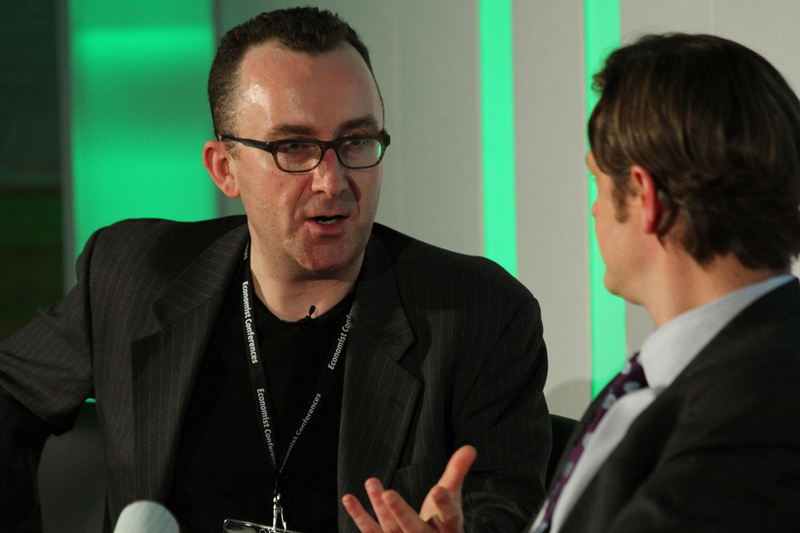 Technology Frontiers was also the first Economist 'hybrid' event, where the two days were filmed and broadcast to the world on a custom-made Wavecast platform. People from anywhere in the world could not only log on and watch the event, but they could ask questions, access reports and exclusive content, and connect with other viewers. It linked to their social media accounts, and attendees in the room were also encouraged to use the platform to tweet questions and comments to the speakers. I worked closely with the Wavecast team and the event project managers to deliver the new platform. Click through the below slideshow to get a feel for the event. 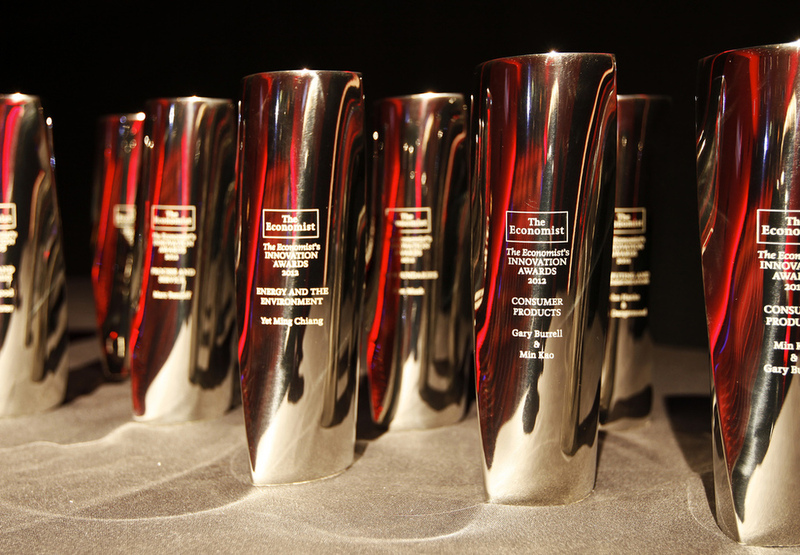 The Economist's Innovation Awards is an annual awards ceremony that recognises the dreamers and the doers behind the innovations that transform the world we live in. Over the past decade they have handed out awards to some of the world's leading entrepreneurs, thinkers, creators, scientists and innovators. 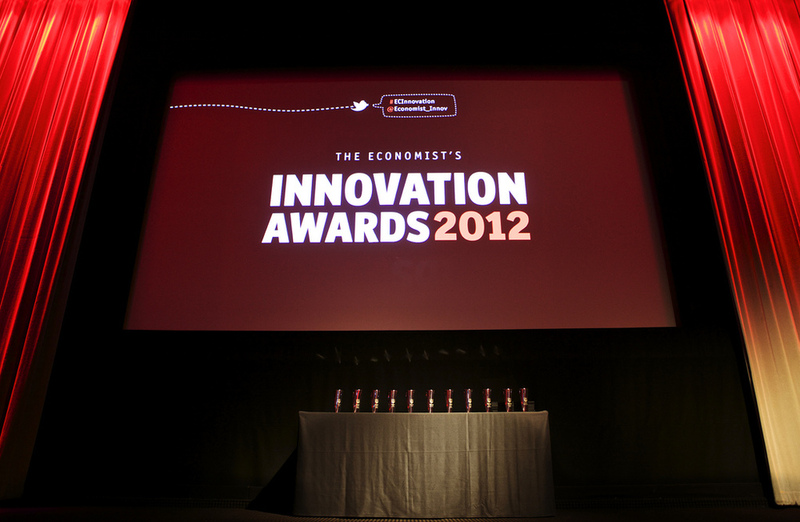 The creative for the 11th Innovation Awards captured the idea of the 'eureka moment'. We researched historical eureka moments and how famous inventions or theories came to be and used these stories for the event promotion. Each of the winners was then interviewed ahead of the event and asked for their personal moment of discovery. 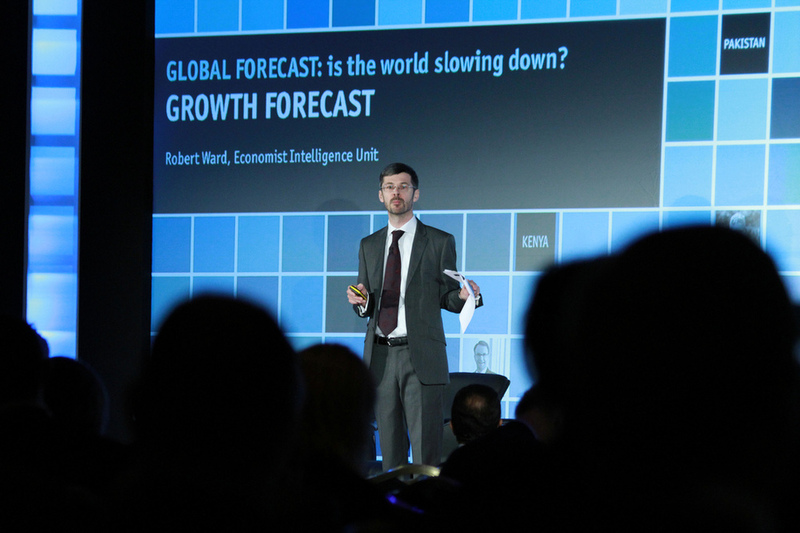 These stories were transformed into short animations and economist covers that were presented at the live event. The ceremony is a black tie, invitation only event, but the 2012 awards marked the first year that the ceremony was broadcast live on the Wavecast platform. Viewers from all around the world logged on to watch some of the brightest innovators collect their awards. 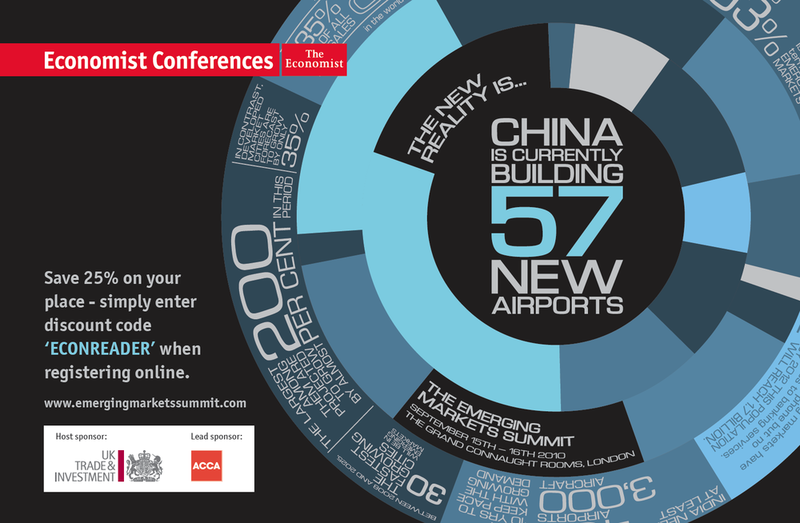 An annual event which brings together leaders in business, politics, economics, education and infrastructure to uncover the true potential of new high growth economies. 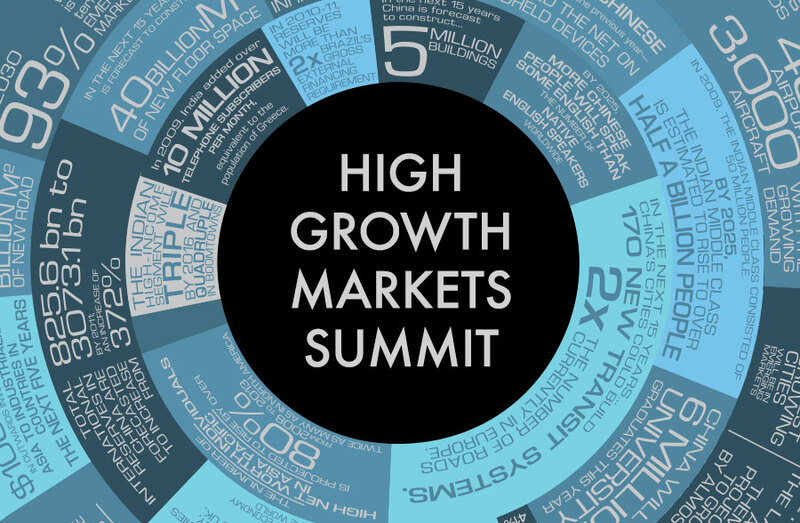 The 2010 artwork set the scene - 30 statistics around the massive change and development in emerging markets were set to a wheel. On digital platforms, the rings of the wheel rotated, showing new opportunities for different markets at every turn. The 2012 event took the set design to a new level. Working with our staging and AV supplier, the un-flappable Eclipse, we used projection mapping to create a massive 20 metre wide video screen that stretched the width of the stage. A live tweet feed, an animated background, talking heads, all contributed to an immersive and exciting experience that looked great both in person, and online through the Wavecast platform. 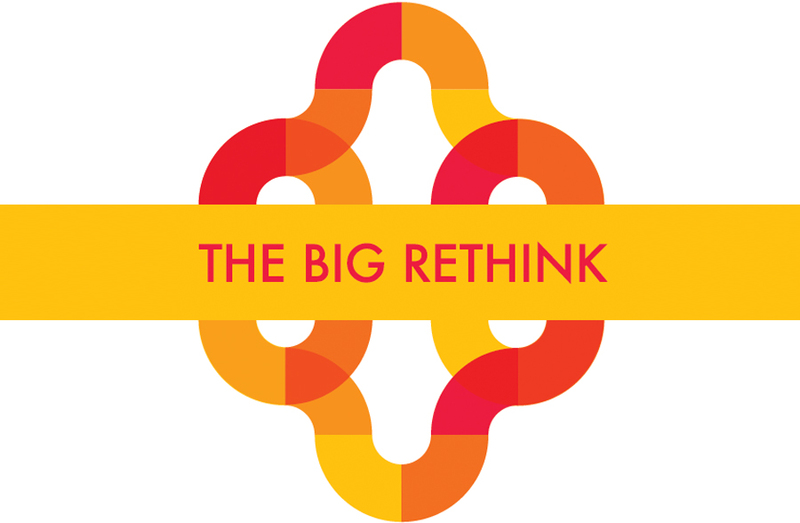 The Big Rethink is an event where business and creativity meet to generate fresh ideas. With a strong branding and marketing focus, the event takes a big idea every year, and delves into the subject with a series of inspiring and exciting talks and discussions. Added engagement was provoked on the day, by Think Visually scribing the conversation throughout the day live.